Activities included attending a Q&A with HWS President & CEO Brendan Courtney, meeting our patient simulation dummy with StaRN (pictured bottom left), learning about the inner workings of a computer with IT&S (bottom center), flipping and stacking cups in a certain order as part of a team-building activity (bottom right), and more. Three of the children even won movie theater tickets for acing a credentialing test! 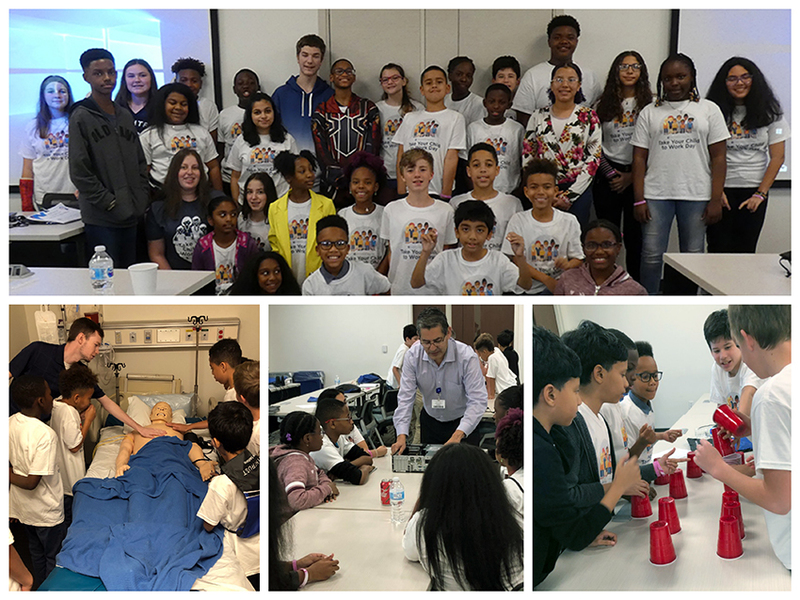 We would like to thank all of our team members for sharing our Workforce Way with the next generation of the workforce, as well as each of the kids for a job well done. If you're interested in joining our team, click here to browse our available opportunities.